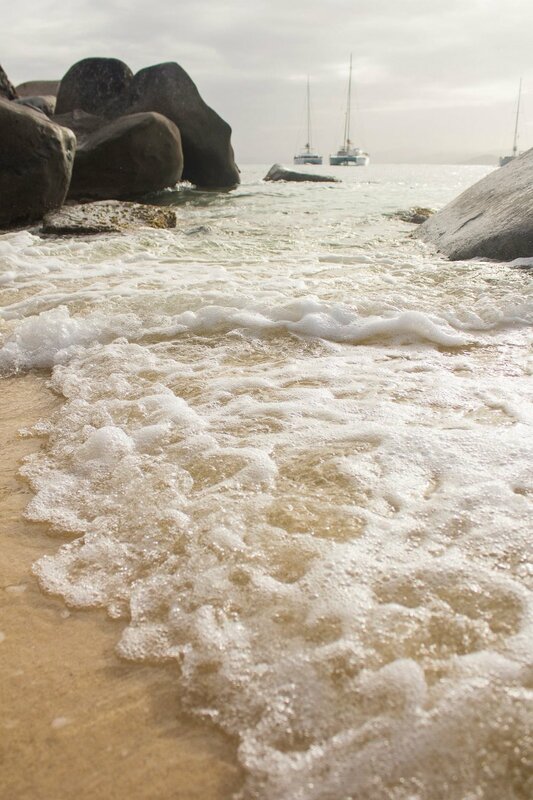 Virgin Gorda is the third largest island in the British Virgin Islands, and it happens to be home to hundreds of big, beautiful granite boulders. A climber's dream come true really. The quality of climbing is fantastic, and the location is unreal. 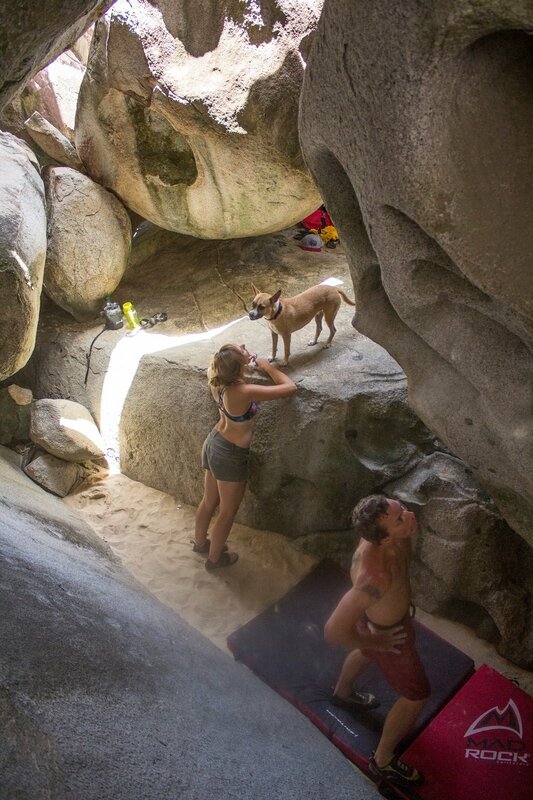 If you're looking to combine a climbing trip and a relaxing beach vacation, this is truly the best of both worlds. When Michael and my friend Marc told me about a trip they were taking to an island called Virgin Gorda for a week of chilling and rock climbing, I was quick to jump on board. After scheduling the flights and ferry (detailed above) for the trip, everything else was pretty straight forward. We hopped on a flight out of LAX to San Juan, Puerto Rico and then connected immediately to another flight from San Juan to Tortola. From Tortola, we began our vacation. 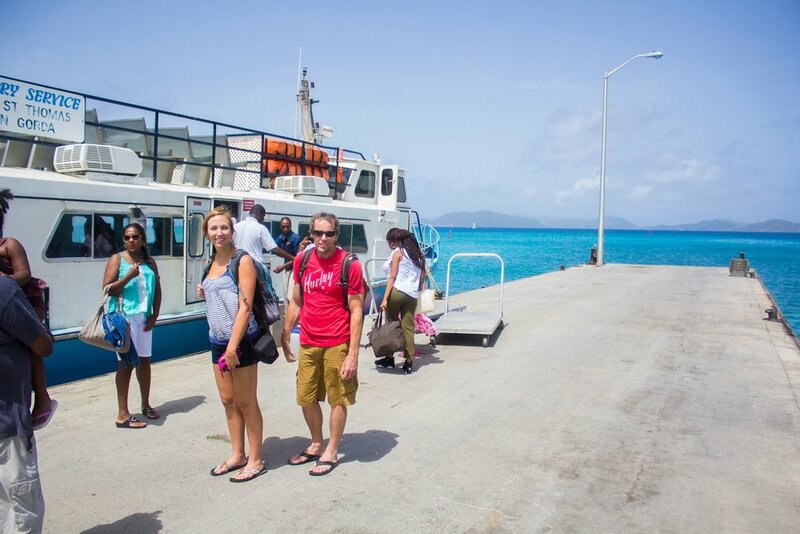 While waiting for the ferry in Tortola, we grabbed drinks at a nearby bar (right near the ferry docks), and were properly in vacation mode once we boarded the ferry to Virgin Gorda. We booked a beautiful two bedroom little bungalow (complete with kitchen, living room area, and outdoor patio) at the Guavaberry Spring Bay Vacation Homes. This place came recommened due to its prime location to beach side boulders and friendly staff. Guavaberry also makes it easy for climbers by providing crash pads during your stay, so we didn't have to travel over with any crash pads. Below is a view from our patio in Guavaberry. The beach was just a short walk away from our bungalow, and felt very clean and private. Virgin Gorda is popular among sailors, as you can see several boats anchored off-shore. And the best part? The bouldering was right on the beach! (at least some of it). We were able to enjoy some lazy days, sleeping in, dragging a crash pad to the beach and climbing our little hearts out. We were also able to rent snorkeling gear at Guavaberry and go snorkeling right off the beach. The fish life around the beach was incredible, some of the best snorkeling I have ever done. I didn't have a camera to take with me underwater, but there were all kinds of fish just off the beach front. As you can see from the photos, we did a ton of climbing. 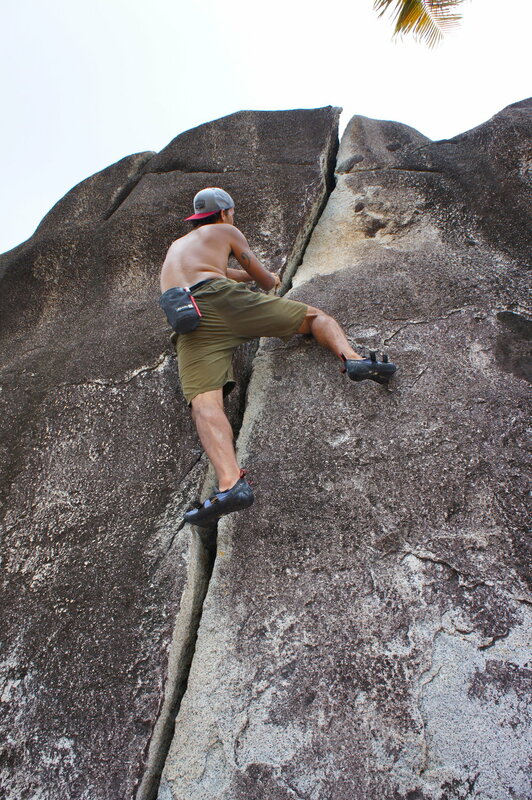 There were boulders even right outside of our bungalow that had climbing lines on them. There is a guidebook for the Virgin Gorda Bouldering called "A Guide to Bouldering and Traveling in the Virgin Islands" by Rich Crowder. I definitely recommend getting this before visiting so you can navigate among the many boulders available on the island. Link to the guidebook at the top. This boulder below was super close to our bungalow in Guavaberry. Life was simple and the going was easy. We spent our evenings on the porch drinking wine (maybe a little too much) and enjoying the Virgin Gorda sunsets. 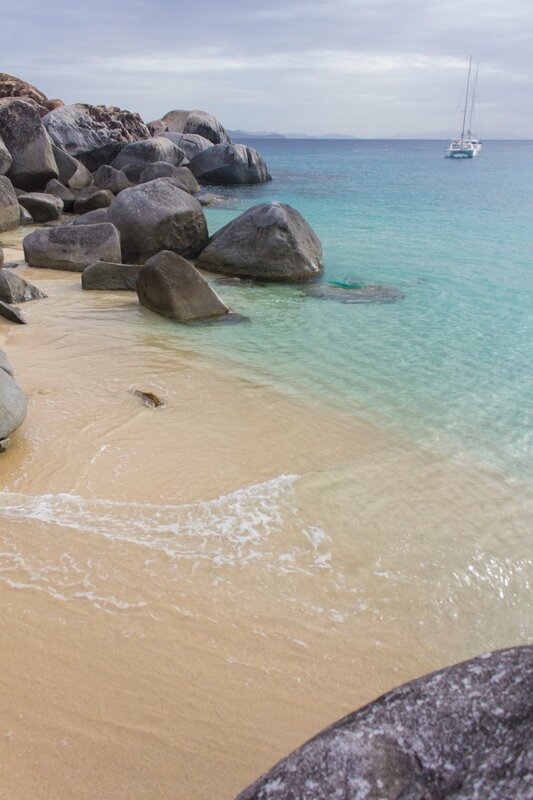 We also made it over to other parts of the Islands, like The Baths and Devil's Bay. Michael and I tried taking an awkward photo between some boulders, similar to a photo we had seen when researching Virgin Gorda. He did a better impersonation at awkward than I did, but I think overall it was an awkward success. Below is Marc on V4 "Hands Don't have Genders", in the Baths, Virgin Gorda. This area was a really cool system of boulders that made this cool cave-like area. I've thought about this place every years since we made this trip back in 2014. I think it is extremely special!